Whelp. That's it. We're done for the day. 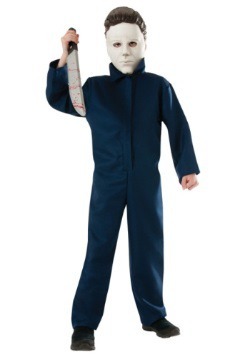 How can we possibly go on working now that we've seen this terrifying costume sitting on the shelf? Of course, we can't go home either. Sure, Pennywise the alien hunter usually targets kids, but we're pretty sure that's just because he hasn't found an adult worth hunting yet. 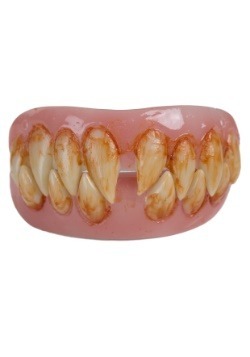 And considering we all yelped at the sight of this thing, we're pretty sure we'd be a easy targets. So we can't go on working and we can't leave the building because we don't trust the sewer grates in the parking lot. Guess that means we're just going to camp out here and try not to think about how terrifying it is. Because terrifying doesn't even begin to explain It. 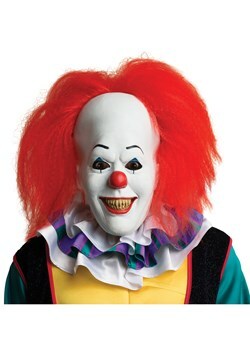 We hated clowns to begin with. 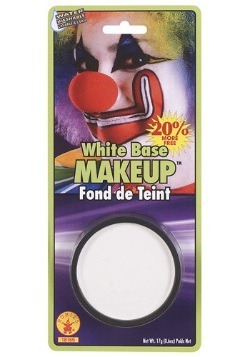 Those bright colors practically assault your eyes, and that face paint with accentuated features is unnerving. 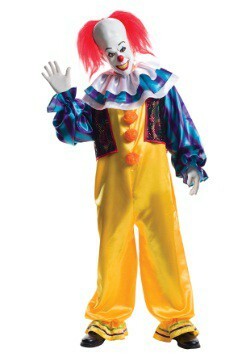 Then Stephen King went and made the clown a killer? We totally didn't sleep for weeks. But we suppose we should do our jobs since we're still here. 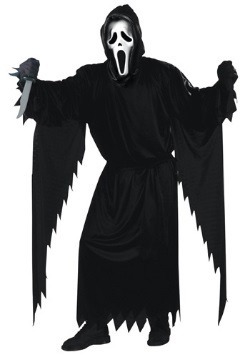 You're interested in this terrifying costume, yes? Well here's what you need to know. 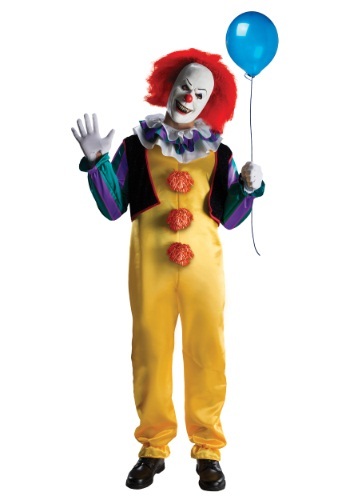 Our Deluxe Pennywise Costume is 100 percent polyester jumpsuit with a zipper on the back. There's pompoms on the chest, a glitter vest, ruffly neck collar, and latex mask with red synthetic hair. 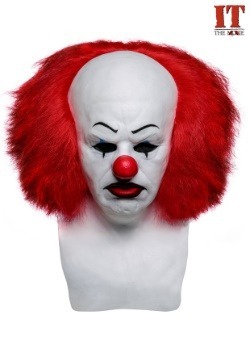 In short you'll look just like the movie's Pennywise the Dancing Clown. 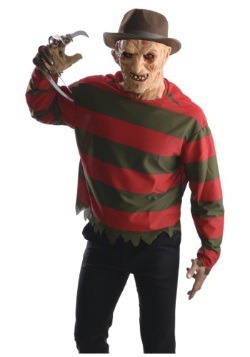 Also, if we saw you dressed up this way, we'd probably run for terror. Even talking about this clown is putting us on edge. Could someone please give us a princess costume to talk about now? We can't take anymore of It.